Enjoy spring at Shinhodaka Ropeway! Various activities will be held to welcome the arrival of spring at Shinhodaka Ropeway.Enjoy concerts and stamp rallies in the majestic landscape featuring snow and fresh greenery while enjoying the cool breeze of spring. There may be delays in the starting time for the stamp rally hike and fresh greenery guided walk depending on the snow condition. 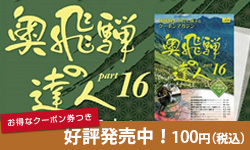 Please refer to the official site of Shinhodaka Ropeway for more details. The cherry trees of Okuhida-Onsengo begin to blossom around the end of April each year. This is about 1 month later than in the flatlands. The cherry blossoms of Tochio-Onsen Horadani are especially beautiful. 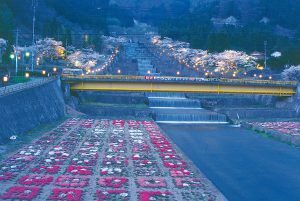 During the period of the cherry blossom festival, the paths lined with cherry trees and the public open-air spa "Kojin-no-yu" are lit up with paper lanterns in celebration of the late-coming spring of Okuhida-Onsengo. The public outdoor bath "Shinhotaka-no-yu" which had been closed during the winter will resume from 12:00 on Tuesday, April 23. Please come and enjoy.